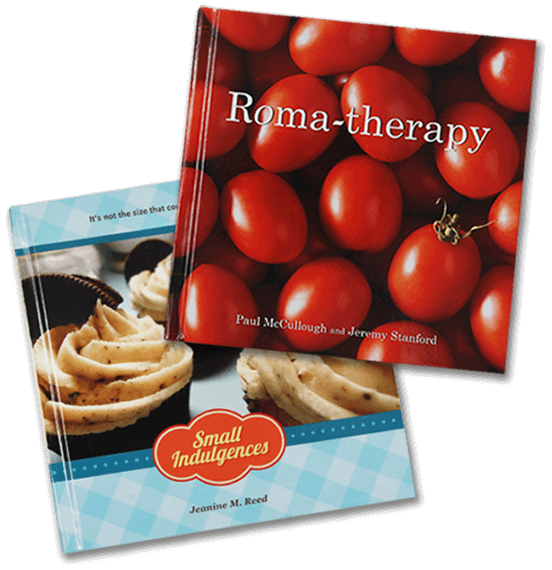 Professional chefs and grandmothers alike turn to BookBaby for their cookbook printing needs. 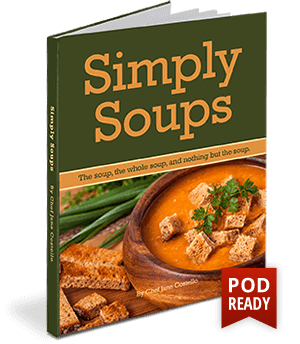 Making your own cookbook? 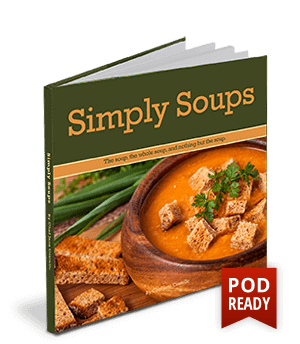 Turn your best family recipes into a bookstore-quality book – available in quantities of 25 to 10,000+. Our publishing specialists are available via phone or email to help you choose which cookbook printing style is right for your project. We also make it easy to order and make a cookbook online, using our book printing templates and online book project configurator. And with our brand new Print On Demand services, you can choose to sell copies of your cookbook worldwide! BookBaby will help make your professional project or your family recipe book a success. Why trust BookBaby to create your cookbook? As the leading cookbook printer, BookBaby has printed thousands of recipe books and cookbooks for families, church fundraisers, the professional marketplace, and simply for personal enjoyment. Every day we print and bind beautiful softcover and hardcover cookbooks, all printed in our US-based, state-of-the-art printing facility. BookBaby writers can now publish and sell both their eBooks and printed books in the world’s biggest bookstores. Not only will we convert your cookbook into an eBook and sell it digitally in 60+ stores, with our new print on demand technology, you can now sell your printed cookbook (book-by-book) direct to your readers, without having to pay for large print runs, warehousing, or fulfillment. Design: Make sure your book cover stands out on the shelf with professional cover design and photography. The better the food looks, the more people will want to make it! Learn more about our design services. Format: Plan for one recipe per spread. 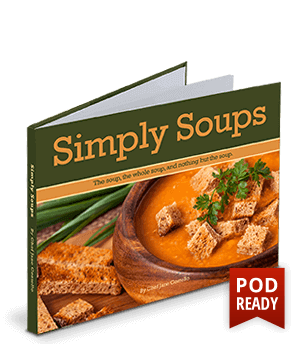 Doing so will allow for a larger font which can be read at arm’s length when in use in the kitchens of your readers. Content: Instead of listing the recipes in alphabetical order, try dividing the recipes into sections by ingredients, type of entrée, etc. Your recipes should be clear to novice and expert cooks, alike. A key ingredient in your book’s success is when you plan to release it. Cookbooks tend to sell better early in the year, between January and April. Talk to a helpful Publishing Specialist today to determine what and when is right for you.